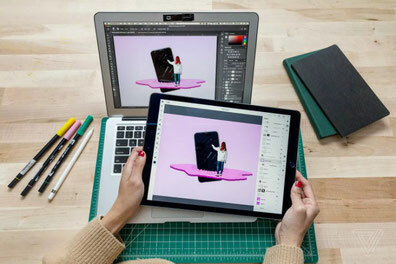 Adobe introduces the real Photoshop on iPad - antoniocudemos Webseite! The wait is almost over. In 2019, Adobe will release Adobe Photoshop in Full, on the iPad. I’ve dreamed about working on an iPad, with a full version of Adobe, since Apple released their Pencil. Finally, my dreams and many of yours I guess, are coming through. Apparently, you can work on a .PSD file on your laptop and then save it on the cloud, for continue working on it, on a different device. There are new touch interface features too, like a “touch modifier” button that allows you to quickly perform a second related action when it’s held down, without digging into menus. You might draw with the Pencil, but hold down the touch modifier button to switch to an eraser, for example. “We will release a smaller set of features on the iPad first so we can ship the 1.0 version to you quickly, and gradually add the rest over time.”, says Adobe. Even so, what's already there should be a huge boon to digital artists that have been itching to work on the iPad for years.